Michele Krisko lived life to the fullest before she became ill. She loved gardening, traveling and spending time with her sons Matt and Brian just as much as she loved to nurture and encourage others in their spiritual growth. Michele was always busy socializing. More often than not, she was the life of the party. Healthy? You bet. Full of life and energy? In spades. In 1992, Michele began waking up feeling exhausted. Her muscles were stiff and painful, and she was greeted every morning with a bad headache. These puzzling symptoms usually went away as the day wore on. Sitting and standing began to pose a problem, causing Michele to feel like she was going to topple over. Her throat was sore all the time. Her heart would race. She found herself sweating profusely. Her ability to think began to scatter and deteriorate. She had a hysterectomy due to fibroids in 1993. Her doctor also thought that the operation might relieve the other health problems she had been experiencing. The good news was that afterwards she felt fabulous. The bad news was that all that would change five months later. Michele’s doctor diagnosed her as having extremely high levels of Epstein-Barr virus, also known as human herpesvirus 4. This common human virus spreads through bodily fluids, especially saliva, and can cause illness, such as infectious mononucleosis. He referred her to an allergist who thought Michele had chronic fatigue syndrome. Her doctor said that all he could recommend was rest. Within days, Michele had gained 22 pounds of fluid and suffered a complete collapse. She was taken to the hospital where her blood pressure was found to be extremely low. Tests indicated that Michele had chronic fatigue syndrome and double pneumonia. She was put on antibiotics for the double pneumonia and sent home, with the caution that she should avoid being around people for a while and to get some rest. A rehabilitation doctor who specialized in chronic fatigue syndrome gave a diagnosis of CFS and fibromyalgia and took her on as a patient. No treatment was forthcoming, but she was offered drugs to help with the pain and sleep disturbances. Michele was engaged at the time and tried to break off her engagement, out of fairness to her fiancé, Dan Krisko. He still wanted to get married though. Their wedding took place in January of 1994. Nobody could have told by looking at this picture-perfect bride that she was desperately ill. But at the wedding, the coat room at the reception hall had a cot so Michele could sneak in and collapse as needed. Michele spent a considerable amount of time on their honeymoon "curled up in a ball in the back seat of the car moaning due to deep bone and muscle pain," she said in an interview with EmpowHER. Over the next two years, the waxing and waning of intense systemic symptoms changed the shape of Michele's life. She couldn’t go to the Christian meetings she’d attended three times a week without lying flat with a heating pad. Her eyes were protected from the light with a sleep mask. "My spiritual life was and still is extremely important to me. Without knowing the promises the Bible holds and understanding where I fit in the big picture of things, I doubt I could have held onto my inner happiness or kept feeling a strong sense of purpose in my life," Michele said. Three years after her illness began, she started to improve and was able to go back to work, with a flexible schedule and a lot of rest breaks. Michele spent the next five years in remission. Then she was hit with Hashimoto's disease, an autoimmune illness of the thyroid associated with low thyroid levels. Later things went in the opposite direction, with a diagnosis of Grave's disease, which increases thyroid levels to unhealthy heights. The excessive thyroid hormones contributed to mania. Her doctor gave her radioactive iodine therapy and radiation treatment. He said she would need thyroid hormone replacement medication for the rest of her life. CFS symptoms were triggered by her thyroid problems. She struggled with exhaustion, and would collapse in her bed for days at a time. 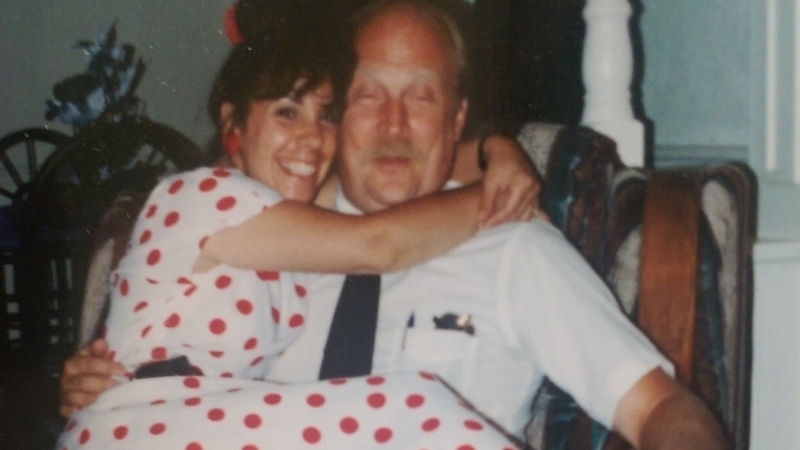 When her doctor retired, Michele began seeing Dr. Charles Lapp, an ME/CFS expert at Hunter-Hopkins Center in Charlotte, North Carolina, in 2002. Being his patient wasn't easy as she lived in Michigan, and each appointment required an 11-hour trip each way. Even so, Michele said that they were worth it. Lapp eventually added dysautonomia in the form of postural orthostatic tachycardia syndrome, or POTS, to her extensive diagnosis. Michele had periods of incapacitation followed by more normal days. Eventually though, she could only work two hours a day. As her health continued to decline, the time came when Michele couldn't work at all. Lapp had warned her for years that she needed to quit working or she would have a total crash. Michele put off that decision as long as she could though, because she had a strong work ethic, and besides, she couldn't afford to quit her job. Lapp was right about what the consequences would be if she persisted in working. She was no longer able to work. "I grieved over each loss," Michele said. "To me being disabled felt like I had entered the Twilight Zone. I didn't know how to live there and more importantly, I did not want to live there!" Michele was confronted with an even greater grief not long after this. Her youngest son, Brian, was badly hurt in a car accident. Getting to his side required an airplane flight from Michigan to a trauma unit in Memphis. She was told that Brian was not expected to survive, and that if he did, he would be permanently damaged by the accident. "I knew I may lose my baby and all I could do was sit there day after day by his bedside hoping and praying,” she said. Brian not only survived, he eventually recovered completely. The time she spent at the hospital with him depleted Michele’s fragile health even further, however. It took everything Michele had just to be able to sit by his bedside. When he asked her to massage his back, she found that she could only manage a minute or so before her hands became too sore. "I felt useless, and I think during that time I was more mad at my illness than I had ever been. Not to be able to soothe my child was too low of a blow and when I was alone I literally tore into the illness verbally,” Michele said. “I guess I needed that release, though if anyone had seen and heard me alone in my bedroom going at it, they might have had me committed." A few years later, after moving into a different house, Michele thought she was developing allergies. Instead, though, she was reacting to mold in the house. A friend invited her to come and stay with her while the house was being worked on. Michele stayed with her for four years. For three of those years, Michele was mostly lying flat in bed, with the lights off and the door shut. She was unable to help out, and often needed help herself. “It was uncomfortable, to say the least, to have to tell the person who so lovingly took you into their home to please not open your door because you needed to be left alone,” she said. Michele had had a sore throat from the early days of her illness. She now had trouble swallowing. She’d become hoarse after saying a few sentences. If she kept talking, she would become exhausted and mentally confused. She had experienced post-exertional malaise, a symptom that hits people with ME/CFS after they do more than they are safely able to, at the beginning of her illness. It had decreased during her earlier years of remission but now it was stepping up, leaving her in a crashed state without letup. Heightened symptoms flare up for days, sometimes weeks or months. She had to stay closeted away from everyone, including her husband and children. To combat this invisibility in the only way open to her, Michele began using a laptop on a bed table. Michele found a new world composed of hundreds of other people with CFS, FM and POTS. “Over and over people described what had happened to them and how sick they were. Each person’s story felt like a witness to my own. I wasn't crazy. I wasn't a hypochondriac. I wasn't thinking negatively. I wasn't anything but seriously ill!” she said. Michele saw that people with CFS had a high rate of suicide because they were so ill and felt so desperate due to the absence of support from friends, media and the medical community. She became involved in patient advocacy online. As Michele spent more and more time involved in the cares of others, her own life changed. “I had a reason to wake up every morning instead of wondering why I should get up at all,” she said. Dr. Black from Hunter-Hopkins Center, where Michele was being treated, asked her to help with the Center's Facebook page. She has made their page a source of information and encouragement, attracting many readers and participants. She wondered if a private platform where people could post more freely might be beneficial. Lapp approved the new private support group, and since then the community has flourished. Its members look after each other with the love and nurture they aren’t getting anywhere else. “Pretty much at some time every one of us is in that boat. It's a hazard of having an ongoing illness," Michele said. Michele's advocacy efforts on internet and social media sites, along with her work for the Hunter-Hopkins Center, have led to her service as vice-president of CFS Solutions of Michigan, a statewide support organization. She is a past vice-president for the national advocacy and non-profit charitable organization Pandora Org. PANDORA stands for the Patient Alliance for Neuro-endocrine-immune Disorders Organization for Research and Advocacy. Pandora Org is an advocacy organization for those with neuro-endocrine-immune disorders. They speak to government agencies, increasing awareness of those who could help the patient community via increased research funds and disease information. They educate medical personnel and get neuro-immune centers of excellences up and running, giving patients specialized places for treatment by knowledgeable medical staff. They run patient assistant programs, providing handmade quilts and meals, gas cards and information. "More often than not even family and friends make themselves scarce. Marriages and other relationships break up. Many times the reason is that people don't know what to say or do, so often they just disappear. And it usually doesn't happen because the patient is a complainer, etc., but really just from an uncomfortableness of not knowing what to do, seeing someone they love suffering, feeling inadequate to help with an illness that never ends,” Michele said. Three years ago things took a downward turn. Sudden, excruciating pain shot through Michele's head, and down her arms and legs. She could hardly move. She was taken to the hospital where she was given antiviral treatments for human herpesvirus 6. Her own doctors were too far away for her to travel in this condition. Her cognitive function was being affected — something that she had been fortunate enough to have avoided for the most part in her two decades of being ill.
She feared the very real possibility of losing her ability to think and talk, and the further enormous losses this would bring to her life. Her doctors in North Carolina recommended a physician who treated infectious disease and chronic fatigue syndrome in Michigan near her home. Michele was put on a high-dose antiviral therapy program targeting HHV-6 and Epstein-Barr virus. It took two years for her to recover cognitively. He put Michele on an antiviral treatment called Vistide infusion therapy. Every other week, she would have the drug infused into her veins for seven hours at a time. Combined with other drugs to augment the treatment, it would leave her quite ill afterward, but Michele said she did it because it allowed her to be out of bed most of the time for seven months. She could leave the house and do things a couple of times a week, recuperating in between trips out. Eventually, though, she had to stop treatments when the side effects became too severe. 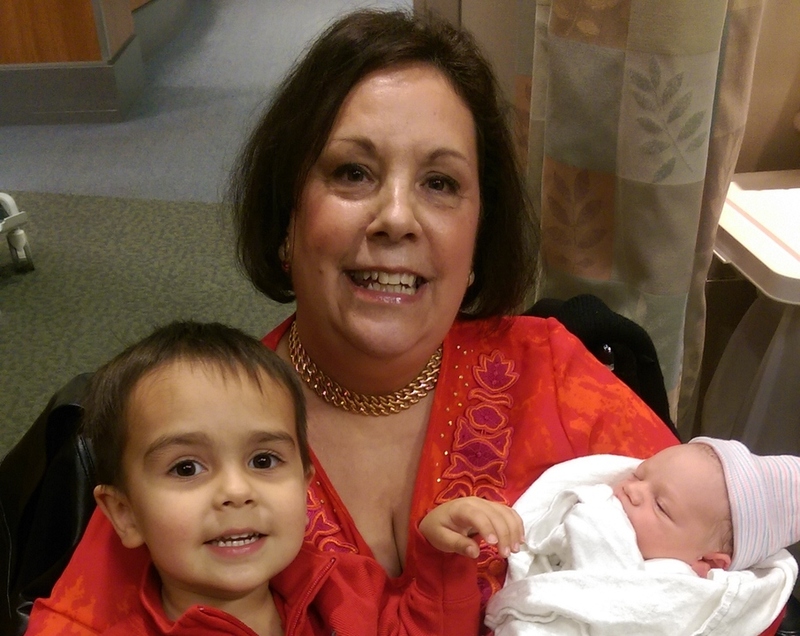 During her seven-month respite, Michele had been enjoying her two grandsons Max and Owen. She’d gloried in visiting and playing with her grandbabies whenever possible. But the old symptoms once again came back, and once again, that happy window closed. She tried the Vistide treatments again this year, but after her fifth infusion, she was hit with a severe allergic reaction. A drug allergy specialist cautioned that she'd never be able to take this drug again. Michele was devastated by the news. Brian and his wife Sasha had a baby recently. Michele is thrilled to welcome Zach as her third grandson. But her dream of being a fully involved grandmother has been thwarted by the deterioration of her physical condition. “When you get seriously chronically ill you lose, first of all your sense of self which has to be reinvented to fit the new, uninvited circumstances. The list of things you lose or have to adjust to is seemingly endless and the longer you are sick the longer the list gets,” Michele said. “You become an illness contortionist, so to speak. Whatever the illness wants, it takes. Free choice is out the window. It takes strong character in your friends and family to bend and twist along with you in order to stay in your life," she continued. Fortunately for Michele and her loved ones, strong character is something she still has in spades. Despite years of disappointments, pain and setbacks, her spirit seems indomitable. 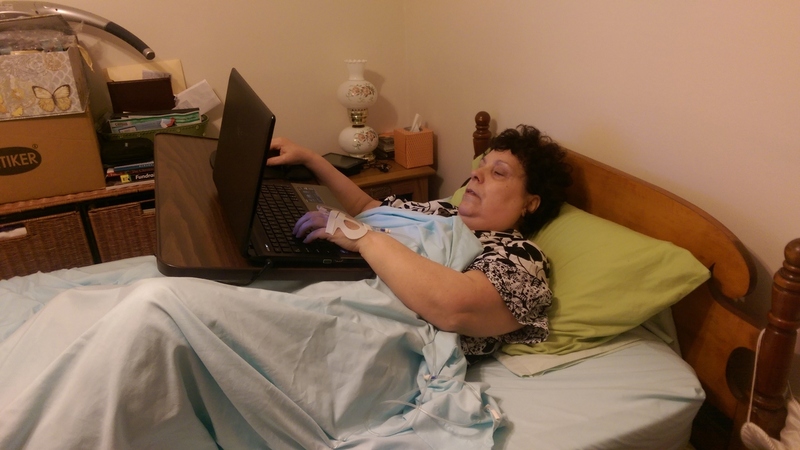 Her outreach through her laptop on her bed continues to be compassionate, sensitive and effective in nurturing and encouraging her other loved ones — the vast community of the chronically ill. They are invisible to so many, often even to people in their own families, their own homes. But Michele sees them and is determined to do all she can to protect others from what she’s gone through herself. 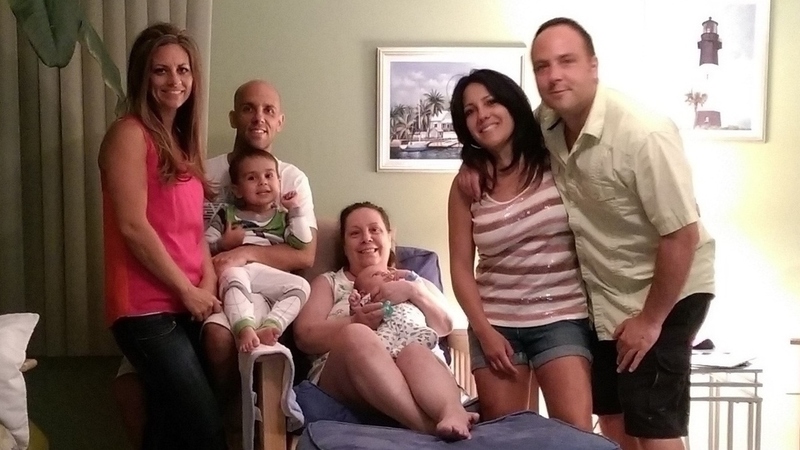 Thanks for shedding light on this illness and sharing Michele's story. She is such an inspiration for making the best of living with all that comes with these conditions. I totally agree. Michele is a great role model. She has been through so much, yet continues to uplift and give to others. Loved this article. Michelle was the first one to reach out to me when I was looking on social media to encourage me when I was feeling so guilty. Thank you for shedding light on this condition. Michele is such a great example. We're glad to do what we can to raise awareness about this illness. Michele, you inspire each and every one of us who are chronically ill to keep our chins up and face the daily struggle. You are such a loving, caring person and dearly loved. 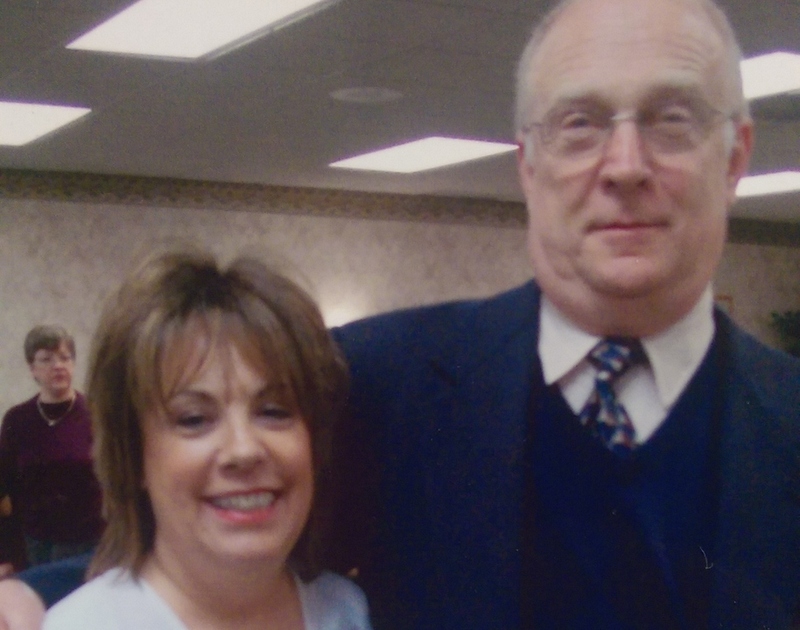 Thanks to Michele for all she does, and thank you Jody for writing about her and about ME/CFS. The more we can spread awareness about this horrible illness and its impact on those living with it, as well as the few who try to help us, the better. It's a terrible disease. I have it too. Michele has done so much in the face of great odds, and has kept her heart open despite it all. We're happy to help in raising awareness for this illness, and for the people who are burdened with it. Thanks for the interesting, inspiring article about Michele and her journey with CFS and related health issues. By sharing her story, you shed so much light on the struggles and challenges faced by people with CFS or other chronic illnesses. We're happy to share the story of Michele as someone who has persevered against such tremendous health challenges and who has been able to do so much for so many in the chronically ill community. Wonderful article, Jody! Thank you so much for telling Michele's story.